Do you have your summer plans yet? You might have heard about a little event going on this summer? Rendez vous 2017 Tall Ships® Regatta has been a years-in-planning transatlantic race series and it kicks off on April 13th in Greenwich, England. While there will be a ton of coverage of the ships throughout the summer on social and traditional media, you don’t have to be an armchair sailor to enjoy the tall ships. You (yes, you) can be a part of this incredible story! 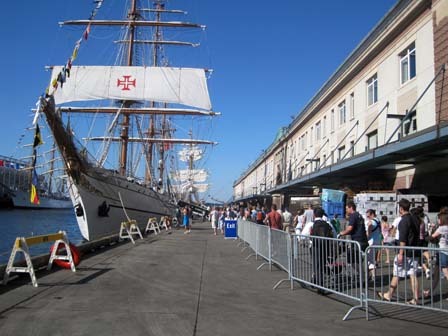 You can sail on board a tall ship! Across the ocean! You can join the ship in Europe or, for slightly shorter legs in either Charleston for the feeder race to Bermuda or in the only U.S. stop in the RDV 2017, Boston. If you are interested in joining this grand adventure, there are two options for you – Sail on Board and Sailing Ship Adventures . Our friends at Sail Training International put together the above excellent video to give you a taste of what sail training is all about: camaraderie, adventure, seeing the world, meeting new people, and sailing a really cool tall ship. When your friends asked what you did over the summer, how cool would it be to say, “Sailed on board a tall ship”? Join us for an adventure of a lifetime. PRIDE OF BALTIMORE II made landfall in Portland, Maine, five days ago. 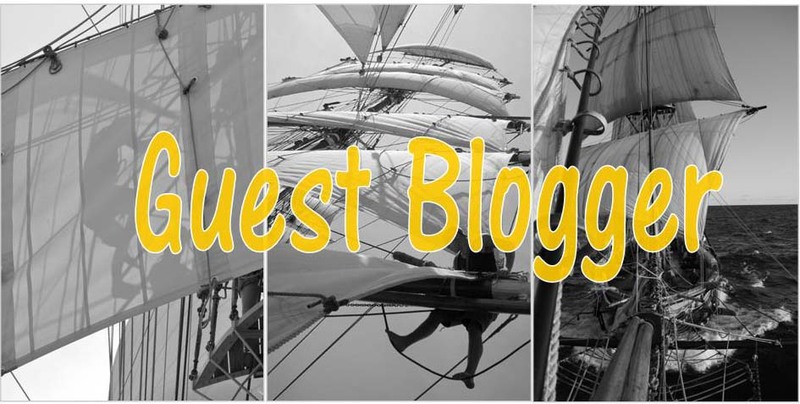 I can hear what you’re thinking – if you were so early getting the boat to the US, why is the blog so late? Well the interim days have been a bit of a whirlwind. In making Portland, we drove PRIDE II hard from the time of the last blog. Starting with a strong breeze just abaft the beam, we slowly took in sail as the wind veered, all the while laying a rhumb line for Portland. The Stuns’l had to come in when a fairlead for it parted, the T’gallant and Gaff top were too much by sunset, and near midnight, with the wind ahead of the beam, we reefed the Mains’l and took in the Jibtops’l. Even still, PRIDE II was charging along at 10 knots through the inky black and squall speckled night. Approaching Portland harbor, we took in the Foretops’l and saw the last of the rain. Originally intending to anchor off of Portland Yacht Services (PYS), we sailed all the way to a spot I’d picked days before near the mooring field. But Phin Sprague, owner of PYS is a lover of tall ships and was kind enough to offer us a dock for clearing customs. There is no sailing through all the classic yachts and fishing vessels off PYS, so we took in sail where we would have anchored, and picked our way through the scattered boats under engines for the first time since securing in Lunenburg. Arriving at dawn, we were cleared through customs by 0815, but the crew was another three hours in stowing. We had, after all, used every sail we had. Not only do the ships race, but they also do a little rescue at sea. Read on to see how the Brazillian sail training vessel Cisne Branco helped a disabled sailboat. 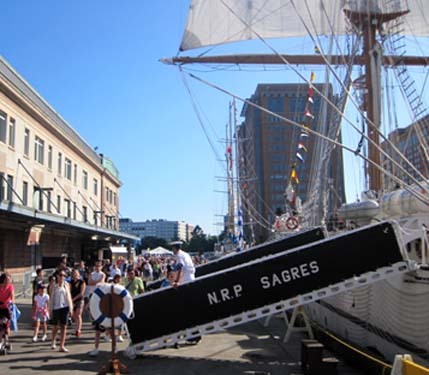 Cisne Branco will be in Boston for the Sail Boston event July 8-12.
miles off the coast of Cape Hatteras. set the mainsail, a Coast Guard news release said. events such as Sail Virginia. It is homeported in Rio de Janeiro.